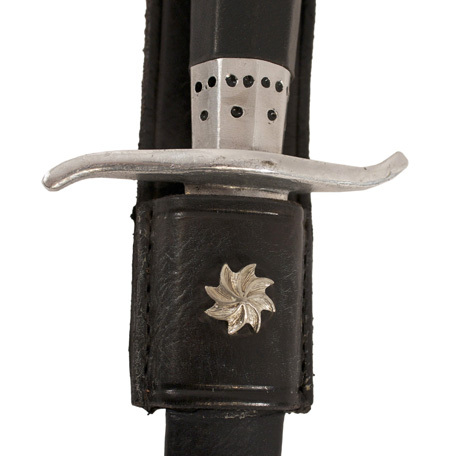 This prop dagger was used onscreen by the character “Alejandro Murrieta / Zorro” played by actor Antonio Banderas in the 1998 motion picture “The Mask of Zorro” starring Anthony Hopkins and Catherine Zeta-Jones. 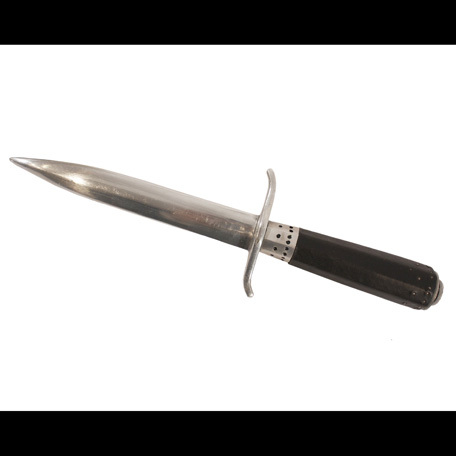 The dagger is comprised of a steel blade and curved guard with black handle and metallic end device. 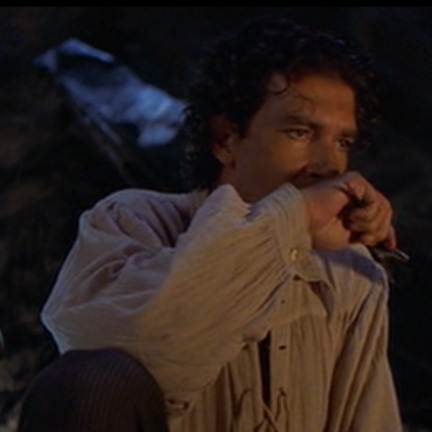 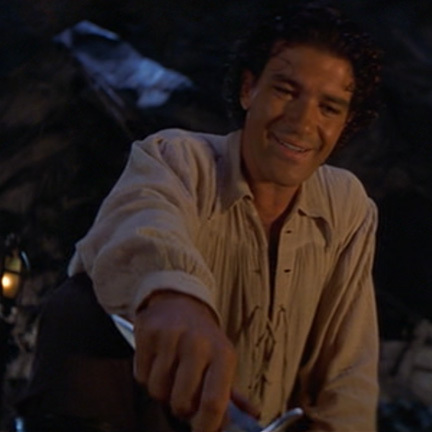 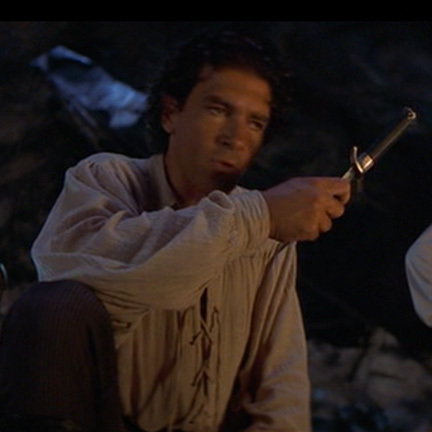 Mr. Banderas can clearly be seen using this weapon in the pivotal scene where his character “Young Zorro” returns to the hideout of his mentor “Old Zorro” (Hopkins) and uses the dagger as a pointing device on a map to outline the mine’s location and guard details they are likely to encounter when attempting to foil the plans of “Don Rafael Montero”(Stuart Wilson), who intends to blow up the “El Dorado Mine” along with all of its peasant slave laborers in order to conceal its existence from the Spanish authorities. 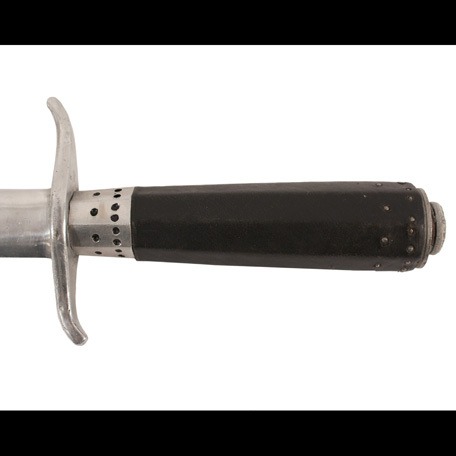 The prop weapon originally had a metallic cap device on the end of the hilt which became lost after filming, and is in otherwise excellent screen used condition. 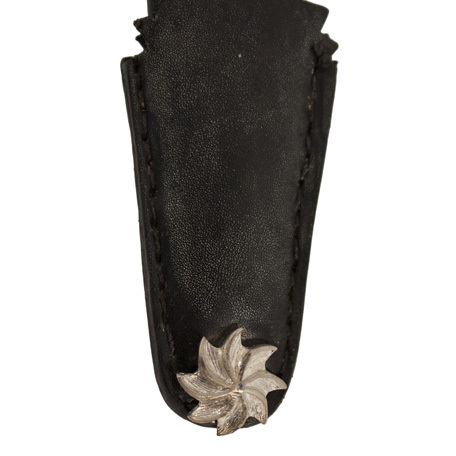 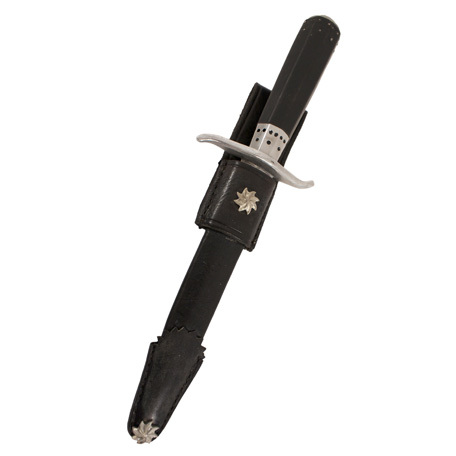 The sale of this item includes a matching black leather scabbard with metallic details (not used onscreen). 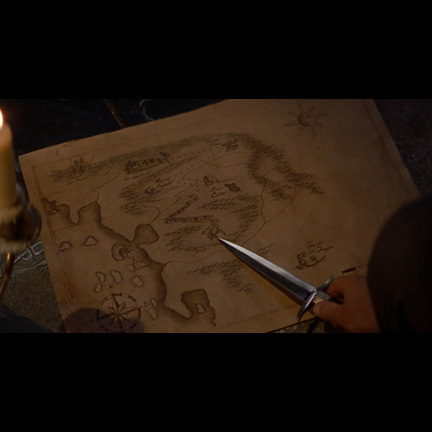 Accompanied by a letter of authenticity from the property master who oversaw its use on the production.